Which are the most suitable stocks for my portfolio? What is the intrinsic or true value of the listed company? What potential does the stock have at the current price level? Or is the stock already overvalued? For these needs, the finbox.io app provides a long-standing stock screener with numerous features for both private ​and professional investors. A considerable range of functions can be used for your own stock analysis, either for free or for comparatively moderate monthly fees. ​Continue reading the full Finbox.io App Review. ​​Who Is Finbox.io Best For? Finbox.io aims to facilitate professional investment decisions in equities for all types of investors, such as private persons, financial advisers or asset managers, with the appropriate sophisticated tools. In short, all necessary tools are made available in an online platform. They should be easy to handle and applicable in a flexible and individual manner. With its tools and data, Finbox.io is now an application platform for analyzing companies used by thousands of investors worldwide. Investors who want to decide on fundamental data and with value investing in mind find the tools they need to act. The co-founders of the Chicago-based FinTech, Andy Pai, Brian Dentino and Matt Hogan, who have brought their expertise from an investment banking group stress that they have invested a great deal of time and effort into the development of the tools and platform functionalities. The result: evaluation models, analysis tools, templates, scenarios and data collections that help customers to quickly determine the intrinsic value of stocks and make the right choice. Finbox.io's intuitive and easy-to-use stock screener provides users with the most commonly used fundamental and technical screening methods. At the same time, the data stock is constantly being expanded. ​Under this menu item the user starts to create own watchlists. To do this, one may completely take over shares from existing portfolios from the menu „Ideas“ or set up an own compilation. Additional inspiration is provided by a list of „most viewed“ links in the sidebar. The premium version includes taking over „ideas“ portfolios, exporting data and using other features. The individual filters can then be further processed using the operators „more than“, „less than“, „between“ or „equal“ and the respective amounts. However, the filters in the „Risk“ or „Forecast“ section are mostly or completely available with premium access. Likewise, the export of the result data is only possible with a paid ​subscription. A very interesting feature for beginners is the menu item „Top Ideas“. 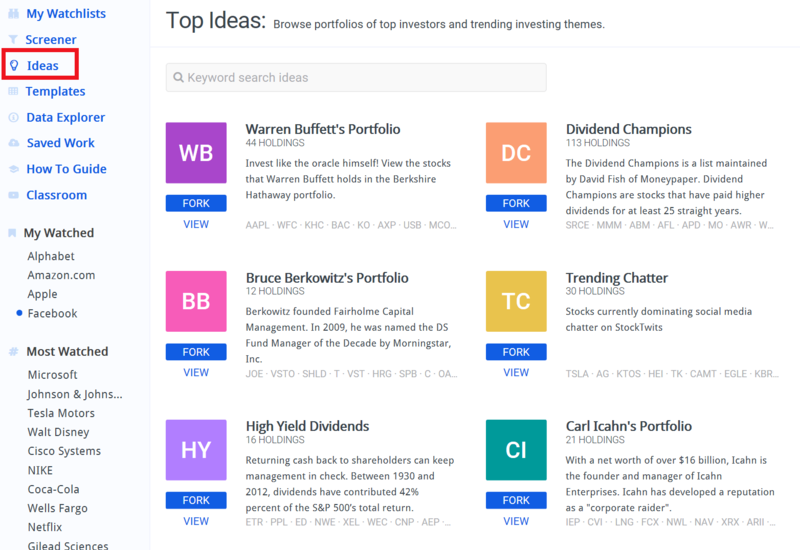 Here everyone can search the most interesting portfolios of prominent and legendary investors, investment houses or trend topics. 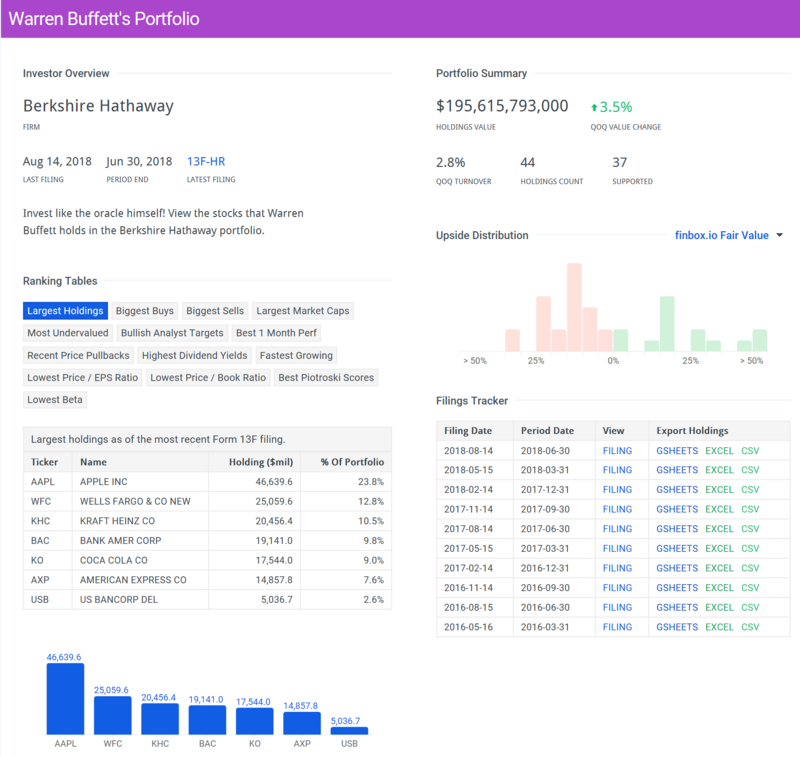 An example from nearly 400 „ideas“ at hand is Warren Buffett‘s portfolio, which currently contains 44 positions. If the user wishes to take up this investment idea for himself („fork idea“), the contained values are put on the new own watchlist. The idea portfolios themselves can also be further analyzed according to numerous aspects (rankings, size, dividend growth and performance criteria or fair value). The latest financial data is entered directly into the selected model template. The category of the company (for example, „profitable“, „non-profitable“, „growth“, „mature“, „distressed“, „dividend“ etc.) can be used to further select the template in question. Finbox.io also adds more templates upon request. Users will learn definitions, trends, and other technical screening techniques for assets supported by finbox.io. The several hundred procedures, methods and key figures are sorted by category as in the menu item „Screener“. In this section users receive help and support. Among other things, links to explanatory texts and videos for the areas „Start“, „Demo Screener“ or the financial models used on the platform as well as methods (e.g. multiplier method, DCF, DDM, etc.) are available. A video tutorial explains how to use finbox.io. Here users can find various video courses like in a „classroom“ to optimize the application of the functions (free) or to improve their investments (prices between 15 - 50 US dollars). However, the recent price-reduced educational videos are very well-founded introductions to financial accounting, valuation and accounting practice. annual payed subscription at US$ 25 per month. Automatic renewals take place every month, every quarter or 12 months respectively, depending on the subscription. Changes and cancellations can be made at any time in the account settings. Credit cards (Visa, MasterCard, American Express) or PayPal are available as methods of payment. Completely free is the starter rate, which offers a limited range of functions, for example in watch lists, stock screenings or spreadsheet add-ons and API. 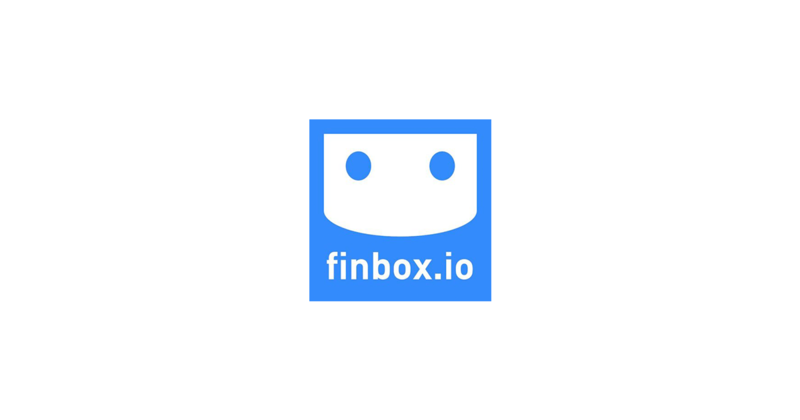 ​Finbox.io is outstanding when it comes to free functionalities. A completely free account, login via Facebook, Google or LinkedIn. A 30day trial for $1 that you can cancel at any time. ​Finbox.io is an excellent choice for investors making their investment decisions based on fundamental data. Finbox.io is not for day trading. Day traders should consider reading my Review about Trade-Ideas. Finbox is an outstanding trading tool with lots of functionalities and ​a good choice for the value investor​. 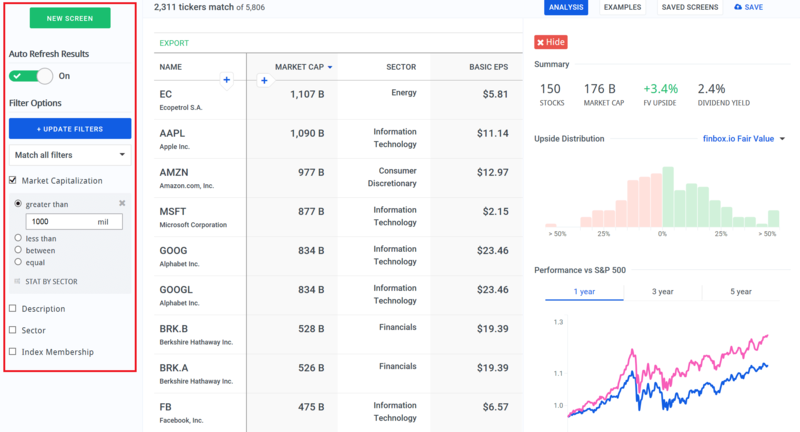 The scope of the ​stock screener finbox.io for US markets is remarkable. It is an outstanding tool for beginners and experienced investors. Very interesting is the premium rate ​of $1 during the first month with access to all premium benefits. Each additional month can be limited to a moderate US$ 25 depending on the ​subscription. For this price the platform offers almost everything the heart of the fundamental analyst or value investor may desire.